Pharaoh/Queen Hatshepsut was a female ruler around the 18th dynasty of Egypt. Her husband and half-brother King Thutmose II died unexpectedly about 1479 BC. Her stepson, Thutmose III inherited the throne. Sadly he was too young to rule, so Hatshepsut served as regent. A few years later, with the support the priests of the god, Amun, she crowned herself Pharaoh. As Pharaoh, she encouraged trade. She also sponsored a vast building program, she also built a temple for herself known as the Deir-el-Bahri; Besides proving that woman could achieve great power in Ancient Egypt this was probably her greatest achievement. What impacts did Hatshepsut have on Ancient Egypt? The impacts Hatshepsut had an Ancient Egypt were: The Expansion of Trade, Changed the Perception of The Egyptian Pharaoh, and Restoring Egypt. During the reign of the Pharaoh/Queen Hatshepsut trade began to expand causing an impact on Ancient Egypt. Pharaoh/Queen Hatshepsut was more into trading and expanding then engaging in wars. So as not in engaging in wars during Hatshepsut’s reign, she was able to go on expeditions to begin trading with different countries. By enabling in able to trade with different countries, Ancient Egypt was able to profit from new material and goods. 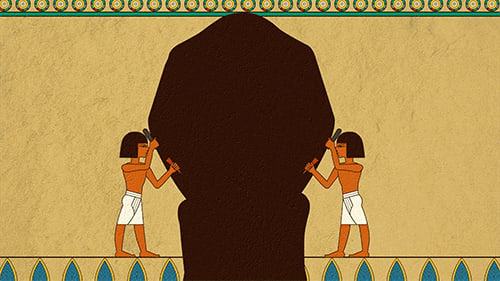 This affected Ancient Egypt’s people and economy. The expansion of trade is shown through the reign of Hatshepsut by the hieroglyphs that told the stories of Hatshepsut’s expeditions and trading; and also how Egypt profited from Hatshepsut’s expeditions. This expedition to Punt profited Ancient Egypt in its economic and International markets. The Expansion of Trade was also able to allow trade networks to open that were once exotic. She reopened exotic trade networks that had been for generations, and her courtiers could acquire luxury goods their fathers had never dreamed of…These luxury goods, for example, were food, earthly materials, and man-made products never seen before. The expansion of trade improved the Egyptian economy hugely from the items they received from trading. I give back, the Egyptians exchanged brew, wine, organic product, meat, gems, weapons and give other little things back. The Egyptian economy clearly benefited massively from this exchange, since a lot of what they purchased back to Egypt was disseminated to sanctuaries, private Individuals and the Byblos exchange or was given in return of gifts… This shows that Hatshepsut was a generous Pharaoh/Queen towards her Egyptian subjects by giving back exchanged goods that were traded. This also shows that by trading their economy massively bloomed. During the reign of Pharaohs throughout Egypt, they all had been men. Hatshepsut, being a woman, began to show women could have power as well. Hatshepsut Changed the Perception of the Egyptian Pharaoh by breaking with traditional, maintaining order as a woman and being seen by her servants as a living god. Tradition has been seen throughout Egypt, but for Hatshepsut, she shattered the traditional Egyptian thinking about divine rule. Hatshepsut smashed the fundamentals of conventional Egypt contemplating celestial standard: Just the lord can go about as a boss cleric and practitioner of customs. No one but he can acknowledge the divine beings thriving for the benefit of Egypt. No one but he can wear his consecrated crown of many virility. What this means is that Hatshepsut broke the traditional thinking and customs of her Egyptian subjects. This also shows that no one but the ruler can acknowledge the presence of the divine beings that thrive for the benefit of Egypt. Hatshepsut was able to communicate with her people that femininity could be just and maintain order in Ancient Egypt. Hatshepsut’s throne name communicated to her people that her kinship was undoubtedly feminine, and that feminine justice was necessary to maintain life with proper order, judgment, and continuance. Some examples of these are that she was able to maintain order even during her days going on expeditions. She was able to change the ancient Egyptians minds who served her, to see her as a living god. This proves that Hatshepsut’s servants saw her as a living god, as the daughter of Amen in a sense. This also proves that in the minds of her Egyptian servants she had contact with the mind of Amen a god. She ruled serenely, fabricating sanctuaries and landmarks, bringing about the twist of Egypt. Under Hatshepsut’s rule, Egypt thrived. Different from other rulers, she was more intrigued by guaranteeing financial success and building and restoring landmarks all through Egypt than in vanquishing new terrains. Hatshepsut took generous responsibility for her family and systems of authority. As Pharaoh, Hatshepsut was able to bring upper and lower Egypt as one. Hatshepsut did wear the crown for upper and lower Egypt. As money profited Egypt, Hatshepsut managed her investments wisely on to her people. How Hatshepsut knew acumen would improve them because then she could give money wisely to her subjects. Despite the fact that Hatshepsut was not the first woman to run Egypt (Merneith is thought to have governed in the first line, Namethatp was regent for her child Djoser in the third tradition and Sobekneferu ruled in the twelfth Dynasty). Nor the last she ruled longer, and further is today viewed as one of the greatest Pharaohs in Egyptian history. Hatshepsut had some major impacts on Ancient Egypt throughout her reign. The impacts Hatshepsut had on Ancient Egypt were: The Expansion of Trade, Changed the Perception of The Egyptian Pharaoh, and Restoring Egypt. These are some of the major impacts Pharaoh/Queen Hatshepsut contributed towards the 18th Dynasty of Ancient Egypt. Hayes C. William. “Hatshepsut.” “Encyclopedia of World Biography. Detroit, Cengage Learning, 2004. Kara Cooney The Woman Who would be King. California: Crown, 2014. Print. Melville, Sarah C. “Hatshepsut’s Expedition To Punt.” Science And It’s Times. Ed. Neil Schlager and Josh Lauer. Vol,” 2000 BC to AD 699. Detroit: Gale Virtual Reference Library, 2001. Tyldesley, Joyce. “Hatchepsut The Female Pharaoh, Penguin Books. London W85TZ, England: Penguin Group, 1996. Wells, Evelyn. “Hatshepsut,” Gorgon City, New York: Doubleday & Company, Inc., 1969.